Well done to all Bella and Poppy who shared the award - ‘player of the season’ and to Gigi who was awarded ‘most improved player’. 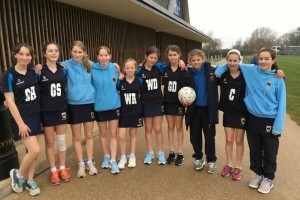 Well done to the whole team for an unbeaten season in all of their weekly inter-school fixtures! 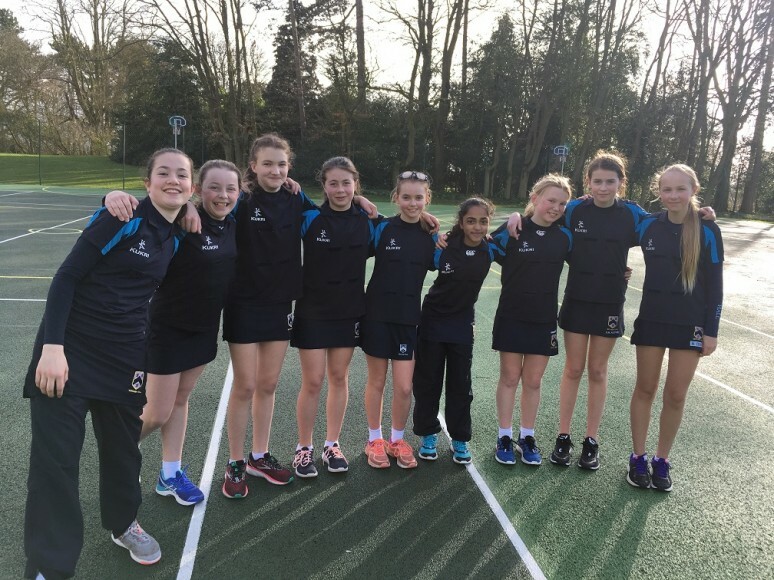 The unbeaten 1st VII played Worksop College U13A team with determination in preparation for their IAPS Tournament on Friday. The 1st quarter, Witham played with a sense of style and control, showing clear organisation and skill. The score was Witham 12, Worksop College 2. The second quarter seemed to flow even better with the defensive unit battling to intercept and stop the conversions. The midcourt and attack really showed what channel play and triangles are all about. At half time, the Witham team needed to mix up, as the score was Witham 20, Worksop College 4. It was nice to see just how players adapted to different positions and out of their comfort zone. At three-quarter time, the score was Witham 24, Worksop College 8. The last quarter, the focus was for our defence to concede less than 2 goals, which they did magnificently. A great game to move into Friday’s tournament. The final score was Witham 27, Worksop College 9. Well done to all the team and thank you to all our side line team for supporting the girls throughout. 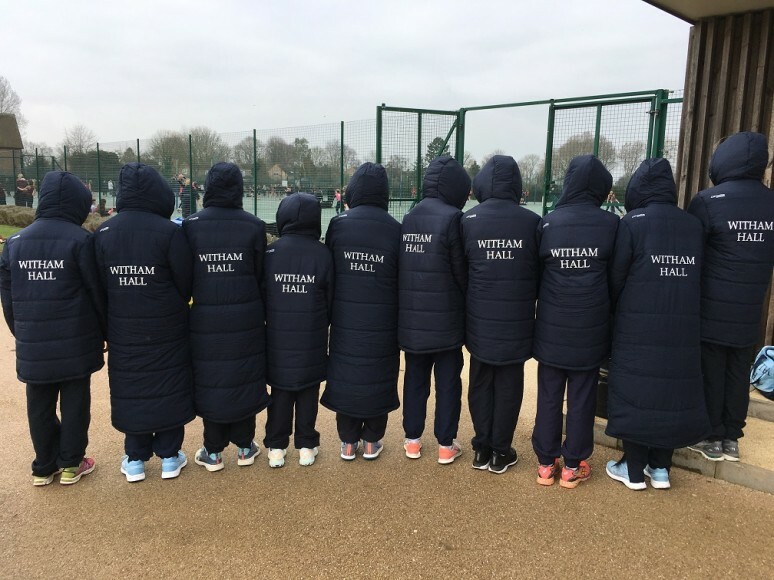 Witham’s 1st VII travelled to Uppingham School for the Regional IAPS Netball Tournament. With Poppy injured, the team had to pull together, re-group and focus on the job in hand. Witham had an extremely difficult section with Prestfelde, Foremarke Hall, Sedbergh and St John’s, but they were ready to conquer. 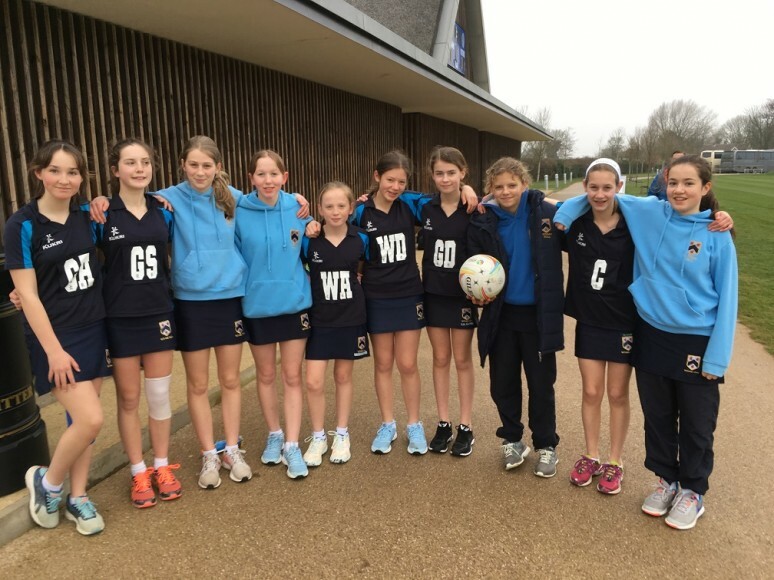 The first game was against Prestfelde, a strong, tall and feisty team. Prestfelde took control of the game straight away and left Witham standing. The half time score was 1-4 down (after 7 minutes!). After a quick half time ten-second Mrs Welch ‘to the point’ talk, the girls had to fight back. Witham had a look in their eyes of determination and a ‘will’ not to be beaten. The Witham flow started to build, with confidence in every player and the girls took control. The final score was Witham 10, Prestfelde 5. What an unbelievable match, not just physically, but mentally too! The second game was against Foremarke Hall, again, a very skilful, tall side. Witham took the confidence from their turn around first match and won 9-5, with every player fighting for the win. The third game was going to be very tough, against a Sedbergh side that has reached National Finals for the last 3 years from U11. Each team worked on and off the ball and there was no margin for error. Witham had the upper hand, but Sedbergh came back at Witham in the last 2 minutes. Both teams played outstandingly well and the final score was Witham 5, Sedbergh 5. The fourth game and the last game in the section rounds was against St John’s College, who looked very slick in their earlier section games. Witham had to forget the win earlier in the season over 40 minutes, they had to concentrate on this short game of just 7 minutes each way; a totally different game. Witham was nervous to start with and was down 3-0 after 4 minutes of play. The last 3 minutes of the first half, interceptions started to happen and Witham built resilience and worked as a team. The girls went into the second half knowing they had to stick to their game plan and build the score. After 5 minutes of the second half, the score was level 5-5. Witham had their centre and scored, bringing the score to 6-5. St John’s had their centre pass with 1 minute to go. Witham forced St John’s to make a mistake in their attack and we gained possession, in which we then scored. The final score was Witham 7, St John’s 5. The section games were over and Witham drew on points with Sedbergh, 18 points each, after both teams winning 3 and drawing 1. 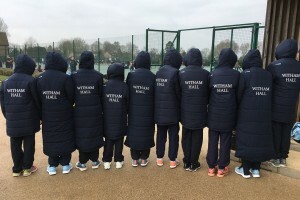 Witham went through to the quarterfinals in 2nd place, after missing out on goal difference to Sedbergh. Witham had to play Winchester House in the quarters, who looked the strongest team out of the 19 teams in the tournament. Winchester House started the quarterfinal match so quick and skilful, it took Witham by surprise. 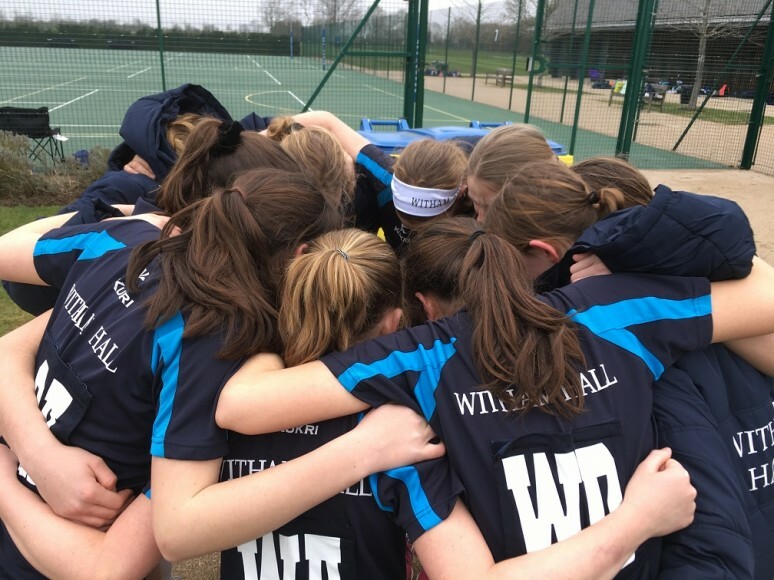 Witham was fighting to win the ball, but Winchester House just passed the ball more accurately, shot with confidence and were certainly stronger throughout. At half time, the score was Winchester House 6, Witham 1. At half time, Mrs Welch built a disgruntled team to believe in themselves and to stick to what Witham believe they can achieve. The girls went back on court and battled hard. The final score was Witham 2, Winchester House 7. The second half score line was 1-1, which showed that Witham fought to keep Winchester House from gaining further possession. Losing this match meant that Witham had one final chance for the final 5th position available to go to the Nationals. 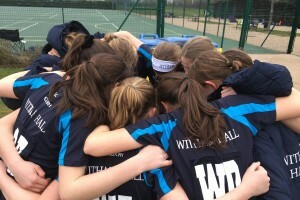 The Knock out match was against Bilton Grange, which again, was very even throughout, but through injury, Witham lost their flow and lost one of their centre passes, which led Bilton to win 6-4. Witham was unfortunately just knocked out. This Tournament has shown the girls just how small margins can matter. Witham is certainly up there with the very best teams and it was only through 1 or 2 silly errors that made the difference. I am very proud of every player, as the senior girls gave their school absolutely everything. The team played their heart out and displayed the most amazing teamwork and sporting etiquette throughout. Huge thanks to all the 1st VII and a huge well done. This team is not only physically, skilfully strong, but they are also now mentally strong too! A special thanks to our side line supporters too, who were amazing throughout. 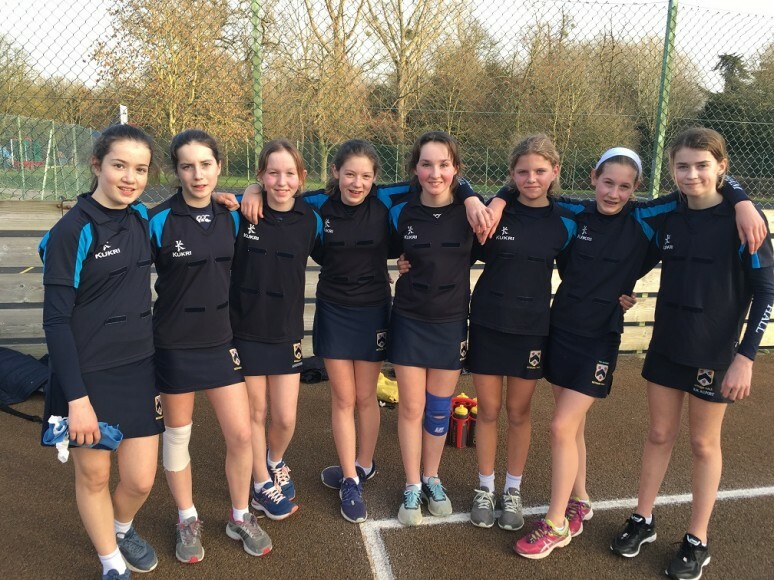 The 1st VII travelled to Oundle School to play their U13A team. It was going to be a tough afternoon, with the weather forecast turning against us with high winds and rain. This game was going to see which team coped best under dreadful conditions. The first quarter, there were many mistakes from both teams, with each team keeping their centre passes and conceding goals from them. The quarter score was Witham 5, Oundle 5. Oundle was very strong in the midcourt and had accurate shooters. Witham had to work hard to get free and man-to-man mark tightly. Witham started to get their flow and belief and the second quarter score was Witham 9, Oundle 6. The third quarter saw more accuracy within the shooting and set plays starting to work, without silly mistakes. Defensively, Witham worked hard to intercept and take control. The third quarter score was Witham 15, Oundle 9. The last quarter, Mrs Welch informed the team that this was the last time together and they had to put a season’s play into ten minutes. The defence did not concede a goal and the Witham team completely took control of the court. A great quarter to finish an amazing season off in style. The final score was Witham 19, Oundle 9. The girls have given absolutely everything to their netball this season and it has been an absolute pleasure to coach them throughout. This team truly deserves an unbeaten ‘Inter-School fixture’ season and they have been a joy to watch. Thank you and well done to all. Huge thanks to all our side line supporters who have braved the weather on many occasions to be by our side. Thank you all! 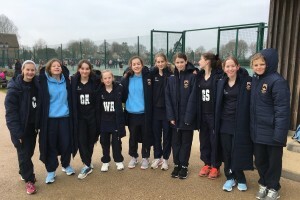 The 2nd VII Netball team travelled away to Stoneygate School to play their U13A side. With several players not available for this match, it was going to test how a team can adapt to new combinations and set plays. The first quarter, Witham certainly took control with the shooting combination of Charlotte and Matilda working well together and the midcourt play from Millie, Tillie and Shivali really working the ball through the channels giving confidence throughout. Defensively, Witham intercepted and marked tight, with Mollie and Sophie at the back. At quarter time, the score was Witham 8, Stoneygate 3. With a change at quarter time, in defence, Mollie certainly took to the court with ease at goalkeeper, consistently winning the ball and working well with Sophie. Witham was really gelling together and were putting on a fine display of netball, heading into the second half of the game. At half time, Witham was up 15-7. Changes again, were made at half time, bringing on fresh legs with Bunny at wind defence. The team responded well and the goals were certainly popping in with ease and confidence. Three-quarter time, the score was Witham 20, Stoneygate 10. There was everything to play for in the last quarter. Stoneygate certainly improved with confidence and accuracy and gave Witham a good last quarter. Both teams were competitive, determined and kept their centre passes. The final score was Witham 28, Stoneygate 18. A great game played by every player, with some exceptional shooting statistics by Charlotte, shooting 24 out of 25 attempts and also winning Witham’s Player of the game. A brilliant team effort from start to finish and well done to all team members. Thank you to our side line supporters, who travelled to Stoneygate and cheer the Witham girls on! 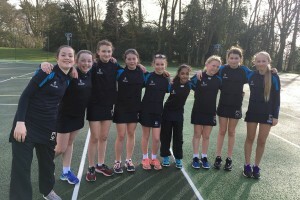 The U12A Netball team played superbly in their first match after ½ term against Worksop. The first half of the match saw Witham dominate much of the play, creating numerous attacking opportunities. Our defence was tested on occasion but they intercepted our opponent’s possession and set up new attacking play. The score at half time was 15 – 3. Given our significant lead, all our players swapped their positions around giving them the opportunity to develop their skills in a different role. Well…, the girls certainly rose to the challenge and I was immensely proud of how well they quickly found their new rhythm. Bunny, Mollie, Matilda and Lila all shot fantastically and Charlotte and Millie played beautifully in midcourt. The second half just demonstrated how versatile the girls are and how they can transfer their skills from one position to another. The match finished with a thoroughly well- deserved win of 29 – 6. Very well done to you all! 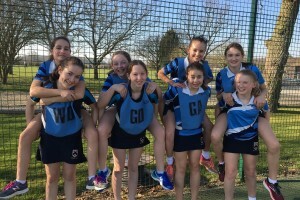 The U12A Netball team played superbly against Oundle’s U12As in extremely gusty conditions. The first quarter was very even but in the second quarter, Witham stepped up the pace and began to dominate play. 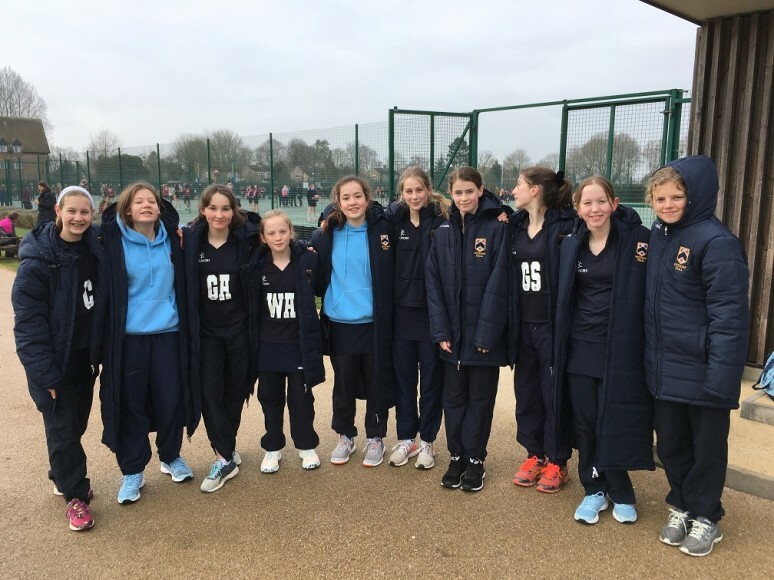 The shooters did extremely well despite the blustery weather and the defence intercepted a number of balls resulting in a 6 – 1 lead at half time. The third quarter saw fantastic passing up the court with well-timed movement off the ball. Our defence demonstrated great determination and regained possession when required, denying our opponent’s opportunities to score for the second quarter in a row. During the final quarter, tiredness and cold hands started to show and our opponents built upon their score slightly. The match finished with a confident 13 – 5 win to Witham. Very well done girls in challenging conditions. 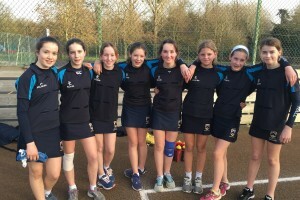 On Wednesday, a sunny afternoon at home saw a great game of netball from our U13b girls. The girls started very positively, warming into the game and managing to get some goals in, finishing the first quarter 7-0. Keeping the pressure up and a strong defence led the girls to another quarter of not conceding. Quick off the rebounds and some fast interceptions meant any chance Worksop had; Witham quickly took off them. Using set plays and interceptions wisely, a solid centre court sent the ball quickly into our D ready for the girls to shoot. Scoring a further 6 girls in the second quarter saw a very comfortable 13-0 lead for Witham. At half time, the girls showed excellent sportsmanship and switched up positions to ones they were not used to playing. Despite this, the girls did not let it affect them and started to uncover some hidden skills. The rearranged positions in the second half-allowed Worksop to score 6 goals and Witham a further 4, leading to a very successful 17-6 win for Witham. 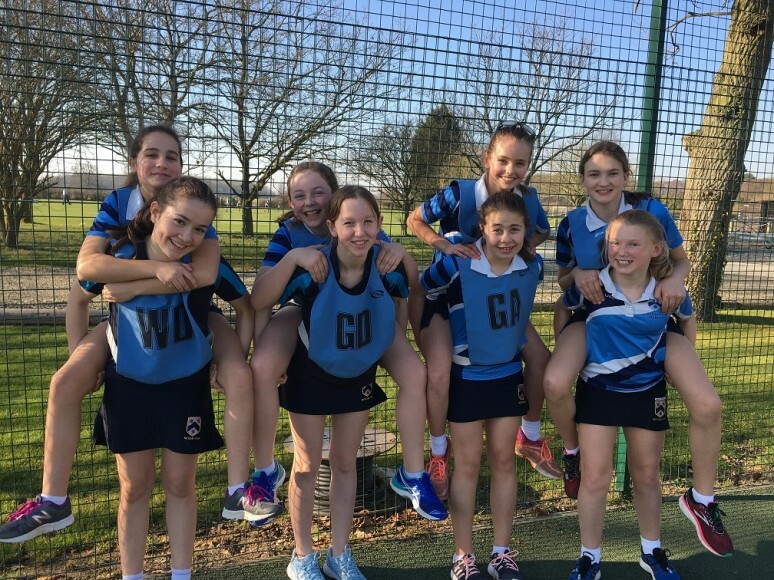 A brilliant attitude from all the girls with some excellent play meant the win was very well deserved– keep it up girls!